What does “homeland" mean to you? By definition homeland means one's native land, speaking to an intimate familiarity and a sense of security. Many people find themselves floating outside this realm of safety by living, studying, or traveling to "somewhere else." Among the “somewhere else” are the overseas students, workers, and families from China. They have moved from native land to another, from Chinese culture to another. The Gretchen Hupfel Curator of Contemporary Art, Kathrine Page, describes this relocation phenomenon like eyes “adjusting to a change in light,” as if exiting from a dark room into the bright light of day, or the other way around. Last year The Delaware Contemporary embarked on a new initiative designed to expand its reach in a cultural exchange with Chinese-based artists, designers, and curators. 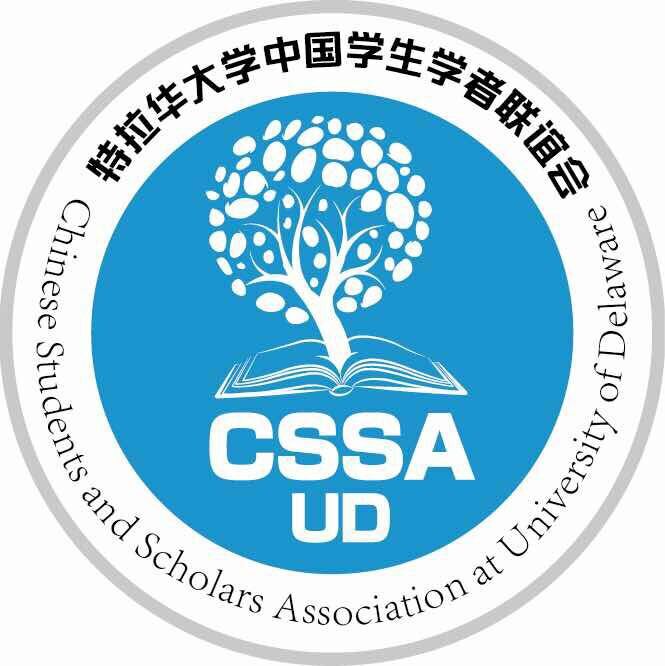 As a result, The Delaware Contemporary, in a joint collaboration with The University of Delaware Chinese Student and Scholar Association, announces an artist opportunity for an exhibition of photographs from the East Coast Chinese Community. We seek various viewpoints on the topic, “Somewhere Else,” (which is not limited to the Eastern & Western cultural contrasts), of differences in daily life between places, emotional moments of homesickness, or other narratives that point to the unknown or ambiguity. Please submit a complete work with photo(s), statement(s) in PDF format to udcssa2017@163.com. 3) or scans of Instamatic photo(s). We welcome single photo as well as submissions of a group of photos in a series of one theme. 2) Why it is important for you to share this memory? 1) Where are you from? Think of the area of China, city, town, or even neighborhood. 2) What do you miss the most from your homeland? 3) How long have you been in the US? 4) What do you love the most about your experience in the US? 5) How do you think this experience in another country has influenced your life? Fees: In lieu of an application fee, a display fee will be applied to selected artists. At The Delaware Contemporary since February 2017, Kathrine Page strives, in creating exhibitions, to advance and nurture the imaginative work of all artists of all backgrounds and cultures whether young or mature, mid-career or seasoned, emerging and outsider, while exploring ways to engage with various audiences in the gallery or museum milieu. Her exhibition history invites conversation around narratives generated by the artist’s experience or ideas, while striving to create platforms that explore pure aesthetics, abstract concepts, or social issues. Memory, telling stories, telling secrets, sharing jarring experiences, or coaxing empathy create links that come into play as ideas, techniques, design, and media traveling between viewer and artwork. Her previous curatorial work took her to Corning, NY where she owned and operated Spencer Hill Gallery and managed The Glass Menagerie Gallery. Prior to that, Page directed the operations at The Davison Gallery, Rochester, NY. Wenlu Bao is the Curatorial and Marketing Assistant, Chinese Communication Specialist at The Delaware Contemporary. She received her M.A. degree in Museum Communication from the University of the Arts in Philadelphia, and B.A. degree in Video Directing from Fudan University, Shanghai Institute of Visual Art. Her exposure to hundreds of art museums and galleries globally enriches her view on contemporary art curating and research. She received 2016 Annual Meeting Fellowship supported by the American Alliance of Museums (AAM), 2016 Marketing and Communications Intern Fellowship supported by the Richard C. von Hess Foundation, and 2018 Diversity, Equity, & Inclusion (DEI) Scholarship Program supported by Visitor Experience Group (VEX Group). In addition to her academic pursuits, she has worked in social media engagement, graphic design, video production, and data analysis for museums including Philadelphia Museum of Art, Baltimore Museum of Art, Delaware Art Museum, and The Delaware Contemporary. Wenlu Bao is the Curator of this exhibition, Somewhere Else. Kate Testa is a mixed media sculptor who lives and works in Philadelphia, PA. She received her Master of Fine Art in Sculpture from the University of Delaware, a Bachelor of Fine Art from the Massachusetts College of Art and Design and holds a Certificate in Museum Studies from the University of Washington. Her work explores themes of the metaphysical and occult while investigating how the art making process can transcend into a spiritual practice. She has exhibited throughout the United States and completed artist residencies both nationally and abroad. Currently she serves as the University of Delaware Curatorial Fellow at The Delaware Contemporary in Wilmington DE. Morgan Hamilton is a Floridian-New Mexican artist currently working in Tallahassee, Florida, USA. He received his MFA from The University of Delaware, and his BFA from Florida State University. He has taught for The University of Delaware and was the associate curator at The Delaware Contemporary before joining the Center for Undergraduate Research and Academic Engagement at Florida State University as an Assistant Director. He is a son of retired Navy Cryptologists and his childhood was spent moving all over the world, this lead to his love of culture and advocacy for tolerance. His work ranges from performance and video to sculpture and installation, exhibiting abroad and at home, from sea to shining sea. He is a transmedia artist and creates future realms whose bedrock is in our present experience. Morgan Hamilton received the A. Gray Magness Scholarship for creative merit from The University of Delaware, Newark DE, a Mentored Research and Creative Endeavors Grant from Florida State University, Tallahassee FL. He is featured in Create! Magazine's Issue XI and has contributed interviews and reviews to video series, radio talk shows, and digital and print publications such as Speak, Speak in Philadelphia PA and Creators Vice. He has exhibited in Germany at Berlin's Tapir Kunsthalle, and in London's Five Years gallery as well as its virtual Skelf Site gallery. His solo shows have ranged from full-scale installation at Gallery 621 in Tallahassee, FL to participatory performance at Practice Gallery in Philadelphia PA.